Sleek and contemporary, the Arona Collection by Aquanova brings function and style to any modern bathroom. 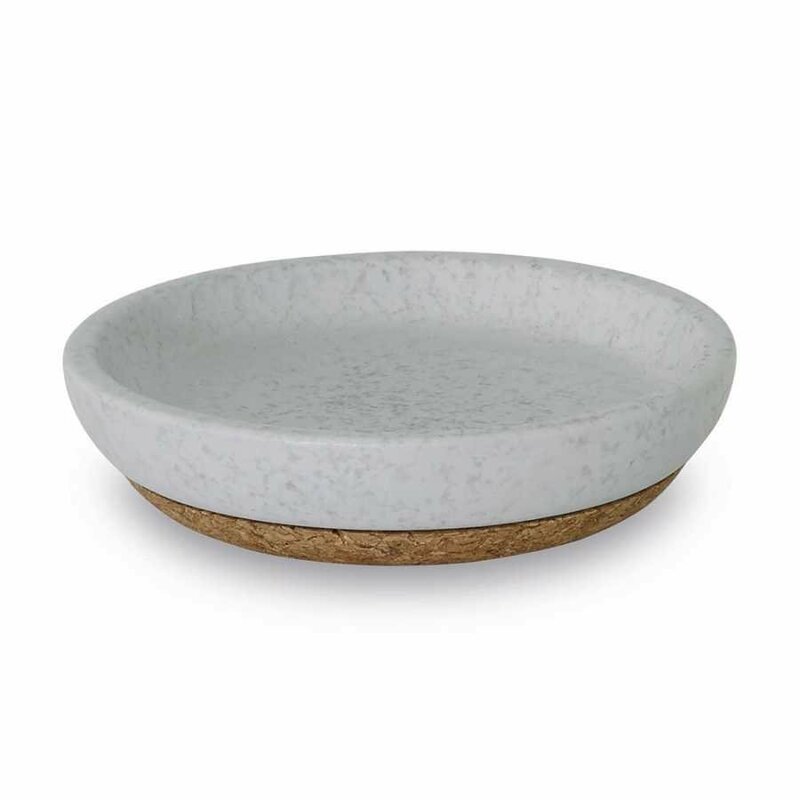 By keeping things simple this collection is a great choice for contemporary rooms of many styles and this Arona Soap Dish is a great choice, adding sleek, luxurious style. The whole collection is in a cool and neutral grey tone and this Soap Dish is no different, blending seamlessly into any bathroom design. The Arona Soap Dish is simple in design with soft edges and it is made from strong, durable ceramic. The grey has a matte finish and the ceramic is set against a contrasting cork base. 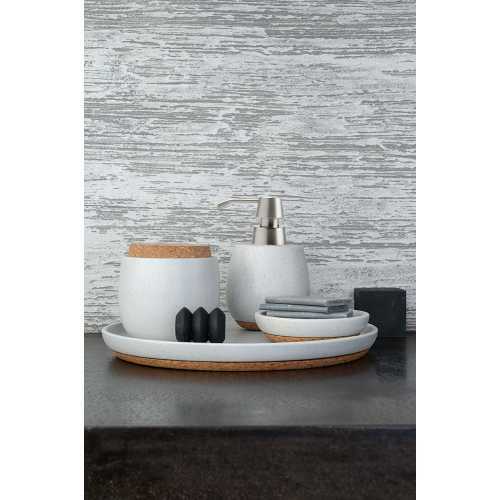 The two materials work well together and cork has that classic bathroom feel and is highly practical especially when teamed with durable ceramic. Each Arona Soap Dish by Aquanova measures 12cm in diameter and 3cm in height. It’s neutral design blends in well with your existing bathroom accessories collection or you can opt to invest in the whole Aquanova Arona range which is guaranteed to give your bathroom a life.